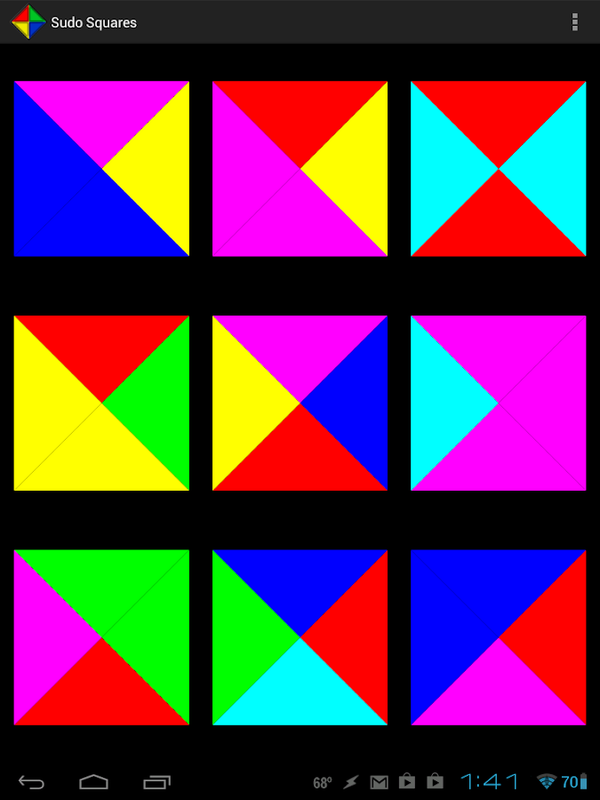 Sudo Squares is a mix of Rubik's CubeandSudoku. Sudo Squares Lite is the full game of Sudo Squares,butsupported by ads. This includes all social features. 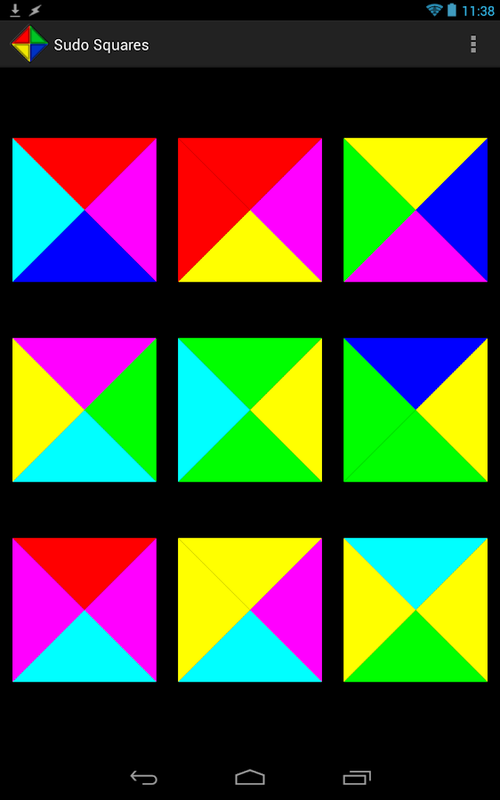 This addicting game has a simple goal: match the adjacent sidessothat they are the same color throughout the 3 x 3 grid. Inspired by research done at Brown University, and developedincoordination with Professor JD Daniels, Sudo Squares promises tobeentertaining for any age. Games are played on one of three difficulties: Easy, MediumandHard. 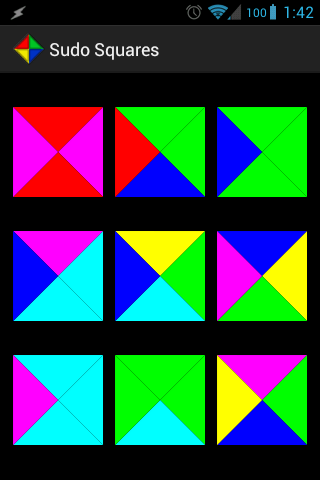 On easy, tiles only need to be rotated to solve the puzzle. On medium, tiles need to be moved within the grid, but willglowwhen they are in the right location. On hard, the glows are removed from the medium difficulty. Since games are randomly generated each time, there are aninfinitenumber of games to be played! 3 difficulties, each with unique game features. If you have any comments or suggestions on how to make thegameeven better please either email me at [email protected](orusing the email developer option) or leave a review on for theapp.I'll try to get back to you as soon as I can. Feedback andreviewsare always appreciated! The Internet permission is required to post scorestoFacebook. Make sure to rate the app and to 'Like' Pseudo Sudo StudiosonFacebook at https://www.facebook.com/PseudoSudoStudios.